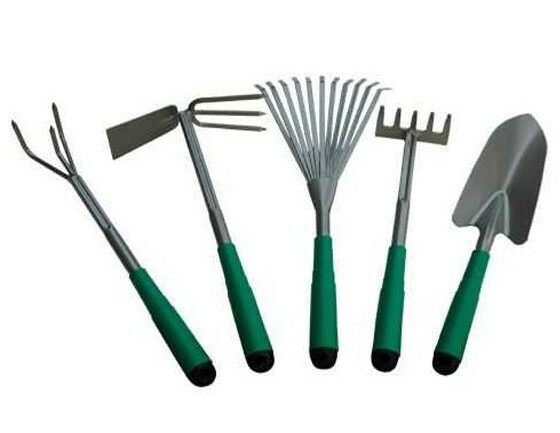 Plastic garden tool set, set of 5pieces. nice look in black color. available in colors & sizes. Made of best quality of plastic. having 5 pieces inside set. showel, rake, shovel and hoe.